01:28 tcohen anyone willing to talk about accounts? 01:31 mtompset tcohen, what do you mean accounts? 03:06 mtompset Sorry... got distracted, tcohen. 03:10 mtompset Are you saying don't record the debit of v3, but reduce the credit of v1 and v2 by an appropriate break down of v3? 03:10 mtompset so we have charge amount, and outstanding amount, and the outstanding amount represents the applied debits inclusive? 03:14 mtompset well, how will it be stored? 03:15 mtompset If we are storing every transaction and type... the application is not done at entry time. 03:15 mtompset And we shouldn't do it at entry time... too easy to mess up data. every transaction should be recorded. 03:16 mtompset But if you wish to build a report table from it... then it should be applied at build time. 03:17 mtompset then perhaps I am not understanding. 03:17 mtompset Yes... account line isn't changing. 03:17 mtompset hmm... let me review the schema. 03:19 mtompset Yes, but the problem is account offset gets ugly fast. 03:19 mtompset if debit > credit 1. 03:20 mtompset What's the problem? 03:20 mtompset just a moment. 03:21 tcohen do you expect the credit to be applied automatically? 03:21 tcohen to reduce the outstanding debit amount? 03:22 mtompset okay... can we make this sign based, rather than credit/debit, because it's confusing in my brain for some reason. 03:22 tcohen owe and pay maybe? 03:22 mtompset credit is good for patron, bad for library -- negative? 03:24 mtompset but let's say owe and pay. 03:25 mtompset so account line is -5, -5, +15... and a -5 comes along? 03:26 mtompset but account offset only would have one entry, right? 03:28 mtompset nope, I guess I don't... I don't even understand why we have them. 03:28 mtompset Right, but the problem is the number of credits and debits don't match. 03:28 mtompset so offset as a -5 +15 reference. 03:29 mtompset because the +15 needs to get SPLIT. 03:31 mtompset OOOOO! I just noticed that in the account lines. 03:31 mtompset someone mixed logic. 03:33 mtompset What value is in the amount outstanding column? 03:33 mtompset The amount of the transaction left? 03:34 wahanui i already had it that way, mtompset. 03:35 mtompset no amount outstanding. 03:35 mtompset or is it -5, -5 then -5, and both -10? 03:37 mtompset so far so good. 03:40 mtompset sure... so, what are the 4 account line values? 03:40 mtompset right... but we have 4 values amount and amount outstanding for 2 lines. 03:44 mtompset okay... 5,3 and -2,0 got it. 03:44 mtompset that would be what I expected as soon as the -2 was entered. 03:46 tcohen how do you apply the credit? 03:51 mtompset find the smallest remaining debit, apply as much of credit as possible. 03:51 mtompset If excess, repeat process. 03:55 mtompset The other possibility would be triggering it after an accountline is written. 03:59 mtompset I'm confused about it. 04:00 mtompset your tests make sense. that's not the issue. 04:00 mtompset The issue is the normalize function itself. 04:00 mtompset what does outstanding_credits return? 04:01 mtompset You keep going to ->next. 04:01 mtompset But what if the debit didn't fully eliminate the credit? 04:02 mtompset you would need to call normalize again to actually hopefully normalize it. 04:03 mtompset You only set outstanding credits once. 04:04 mtompset so the entire debit is used up? 04:04 mtompset that outstanding debt drops off. 04:05 mtompset because I think one exists. 04:07 mtompset od is passed. 04:09 mtompset if not all od is used up, then c1 must be paid off, so next is okay. 04:10 mtompset just had to think it out. 04:10 mtompset it's impossible to get back to a remaining balance AND the same credit not paid off. 04:11 mtompset because you passed ALL the ods. 04:14 mtompset BTW, he forgot to put "Signed off" in the footer of the details. 08:00 Archie^ good morning Koha! 09:56 matts Hey everyone ! 09:58 matts Did somebody manage to configure Shibboleth on both OPAC and Intranet ? 10:34 matts ashimema, that would be awesome ! 10:37 dersmon quick question: searching "a" takes 1+ minutes for 1.2 million bibliographic records, is that within an expected range (using zebra)? 10:47 ashimema there's not much there.. but hopefully it's enough to help? 10:50 fridolin dersmon: depends a lot on how many results you display ? and do you use facets via Zebra ? 10:55 dersmon are you still using zebra or is switching to elastic search recommended? 11:02 cait ashimema: do you have some time to look at bug 21895 by chance? 11:31 dersmon so maybe i have to reindex? 13:06 marcelr even posted on Thursday November 29th, 2018 ! 13:53 ashimema anyone fancy a fast straigh to QA on bug 21900 ? 13:57 Freddy_Enrique But I can't seem to import any bib record from that database. Any reasons why? 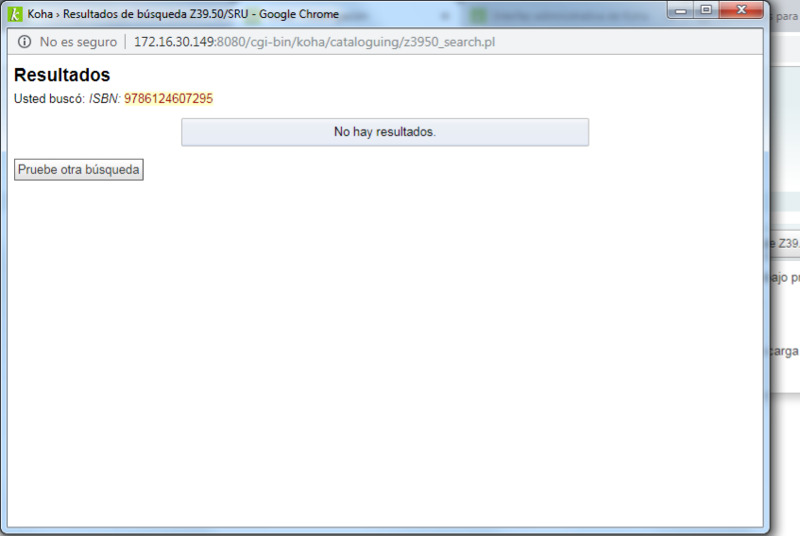 13:59 oleonard Freddy_Enrique: Do you get an error message when you try to search it? 14:02 cait khall: around by chance? 14:03 Freddy_Enrique ashimema: oh... how could I check if an especific port is opened? 14:03 Freddy_Enrique But the info I put there is ok right? 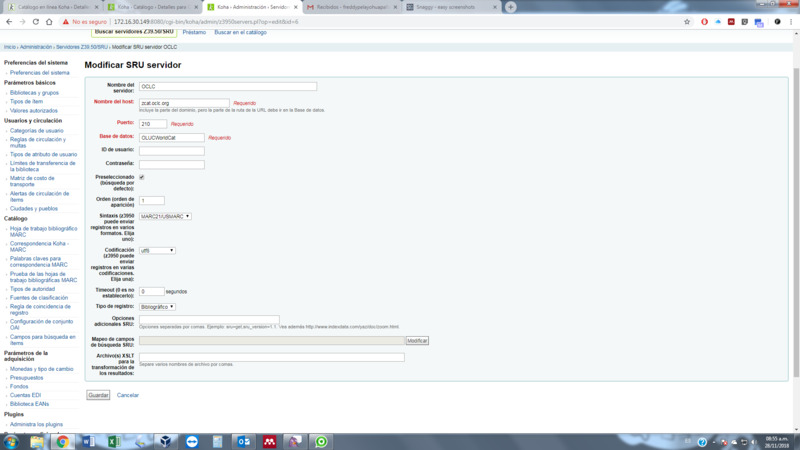 14:03 oleonard Freddy_Enrique: Is it correct that you are trying to connect to an SRU server, not a Z39.50 server? 14:19 cait do you have used the new library group feature by chance? 14:21 caroline ok so libraries from the group can see the users (for example) from the libraries from the same group but not from other groups? 14:21 cait so those users can only checkout checkin within their group? 14:45 caroline So you want to limit staff access to other libraries records and users, but patrons can go to any library? 15:11 cait why can i search baskets i can#t access... and didn't this used to work? 15:13 fridolin cait: oki, can you test it on 17.11.x please ? 15:56 koha-jenkins Yippee, build fixed! 16:09 tuxayo caroline: hi :) Few month ago, we've also got some tricky cases. In the end we weren't sure why things was working as expected... That's still dark magic to me. 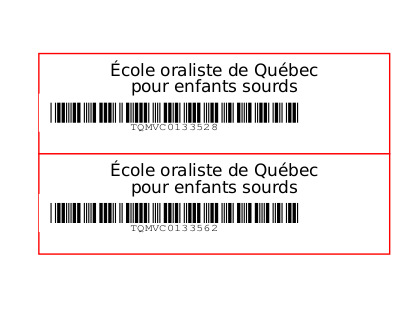 16:14 tuxayo Luckily my colleague wasn't fighting with centering once the barcode finally showed up. 16:18 tuxayo caroline: BTW, our discussion about the script to make the replacements for fr_FR => fr_CA was in a perfect timing. 16:18 tuxayo Have you had the occassion to take the temperature about publishing the script? 16:28 tuxayo caroline: great! thanks :) Was it in the release tools? Or in the main repo? 16:29 caroline do you want me to forward it? 16:31 tuxayo caroline: yay! Maybe sent it in the koha-translate mailing list? 16:32 tuxayo caroline: I though it was the same thing. 16:33 tuxayo ashimema: The english locales could maybe cheat: only translate on Pootle strings that uses word that should be diffrent from en_US. Then the visual result will be the same. As Koha fallsback to en_US when translation is missing. 16:39 ashimema do we use bootstrap tooltips in the staff client anywhere? 16:45 tuxayo caroline: So it allows you to get the missing strings from fr_FR without overwriting the strings that you already have (thus preserving the fr_CA specificities). So you have to search from fr_FR specific words and replace them right? 17:22 tuxayo What are the differences between po-reuse and your fr-FR to fr-CA script ? 17:27 tuxayo caroline: «find the terms to be changed» I don't get it, do you have examples? 17:27 tuxayo «dealing with articles» like word gender change between fr_FR and fr_CA? 17:30 huginn CrispyBran: oleonard was last seen in #koha 3 hours, 26 minutes, and 52 seconds ago: <oleonard> Freddy_Enrique: Is it correct that you are trying to connect to an SRU server, not a Z39.50 server? 17:31 huginn tcohen: I have not seen @seen. 17:35 tuxayo caroline: oh I see, thanks for the details, I'll keep digging into this topic and write some doc to help our Dutch speakers (and other language with varieties) to share work. 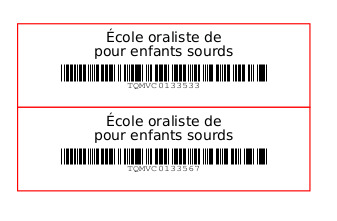 17:42 tuxayo caroline: blessed be the french language for having gender for objects and concepts ^^"
17:43 tuxayo Oh deer🦌, there can be more?! 17:47 caroline cait: can you confirm, in german, the moon is masc and the sun is fem? 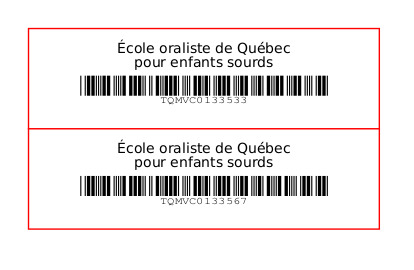 17:47 cait i tihnk just the opposite from french? 17:58 CrispyBran Is anyone able to get the Limit patron data access by group feature in the Library groups to work? I can only get the view_borrower_infos_from_any_libraries preference in individual accounts to work, but nothing seems to happen with the switch in Library groups. 18:13 barton hey, is anyone else getting timeouts on https://bugs.koha-community.org ? I've been seeing this for a couple of days. 18:14 barton yeah, it's intermittent for me. 18:22 khall CrispyBran: file a ticket for that. Ask if we can have an educator make a video on how to use it for everyone to share! 21:20 CrispyBran Any idea why "Value" is processed as NULL? If I hard code a value, it works. 21:28 CrispyBran It is part of a weeding report I am trying to update. This piece finds all old issues that have circed between two dates that were not added after a certain date. The value is the threshold for the number of circs in that time period. So if I only want to see the items that circed 2 times or less, I would enter 2. 21:31 cait and you left it empty? 21:39 CrispyBran no. I am leaving the call number empty. 21:41 CrispyBran That is why. :/ Okay. 22:54 espen_ Need some troubleshooting help here. Just updated a koha system to 18.05 then 18.11 and have been left with an issue where issuing has stopped working with a "No circulation rule is defined for this user and itemtype combination." 22:57 espen_ User is in a Category which has a defined set of rules, item is a Book. Baffled! 22:58 espen_ There is also a rule for "All" for "Books"
23:00 espen_ As far as I can tell it doesn't work for any combination. It's a pretty basic setup. Users are "All" or "College Member" and items are "Books" or "DVDs"
23:02 espen_ This user can't check out this item per library circulation policy. 23:02 espen_ No circulation rule is defined for this user and itemtype combination. 23:03 espen_ Message, in the staff interface is: "Please Confirm Issue/This user can't check out this item per library circulation policy./No circulation rule is defined for this user and itemtype combination." 23:04 espen_ With an option to Confirm "Y/N"
23:04 espen_ patrons can't self-issue on the terminals. 23:05 caroline hmm... did they add a new section to the rules maybe? Like you have to have a default checkout rule (under the circulation rules table) or something? 23:07 espen_ In testing this I've just discovered a secondary problem returning an item: he item has not been returned due to a configuration issue in your system. 23:07 espen_ "Some of your tables have problems with their auto_increment values which may lead to data loss." 23:14 espen_ Not entirely clear what the fix is (yet)! 23:15 caroline I don't understand it either... Sorry! 23:16 espen_ Ok. That's probably worth a try. 23:21 caroline you have a backup? 23:22 espen_ yes. Not convinced this has anything to do with the circulation bug we're seeing but should definitely be eliminated from the pool of suspects! 23:23 espen_ I'll be back for further ideas if it doesn't make a difference! 23:29 caroline good luck espen_! 23:29 caroline good night all!